Most of us know someone touched by depression. It is a tricky and often brutal illness for patients and their families. While it may be the most widely known mental illness, depression is just one of about 400 mental illnesses defined by the American Psychiatric Association in the Diagnostic and Statistical Manual of Mental Illness (DSM-5). According to the National Institute on Mental Health, approximately 43.8 million Americans experience mental illnesses in a given year. 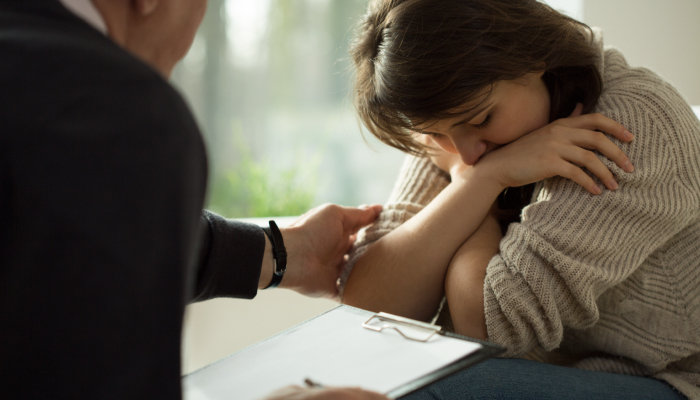 About 20 percent of Americans experience an anxiety disorder like PTSD or OCD, and 16 million Americans had at least one depressive episode in the past year. The impact of mental health issues on physical health is becoming clearer. The outdated view that “it’s all in your head” is not just dismissive, it’s incorrect. According to the National Alliance on Mental Illness, people living with serious mental illness are at increased risk of having chronic medical conditions. Adults in the U.S. living with serious mental illness die on average 25 years earlier than others, largely from treatable medical conditions. For someone with heart disease, for example, untreated mental illness can affect the course of the physical disease and its outcome. Too frequently in America, those with mental illness fall through the cracks. When their disease causes them to act out, they are more likely to first encounter law enforcement rather than a mental health professional. As a result, encounters with mentally ill Americans and the criminal justice system are far too frequent. To ensure patients with mental illness receive the necessary services, Bill S. 1945, “Mental Health Reform Act of 2015,” was introduced into Congress by senators Chris Murphy (D-Conn.) and Bill Cassidy (R.-La.). The objective of the proposed reform is to expand access to psychiatric, psychological, and supportive services for individuals with mental illness and support families in mental health crisis. Reform is a much needed step in the treatment of mental illness, and rethinking some long-standing Medicaid stipulations may go a long way toward keeping patients heathy, especially for the elderly and disabled suffering from mental illness in conjunction with other chronic conditions. The Mental Health Reform Act elevates the issue of mental illness and calls on America to do better. Improving access to mental health care under Medicaid by allowing Medicaid patients ages 21 to 64 to be seen by freestanding psychiatric hospitals. Enabling short-term psychiatric hospitals to participate in Medicaid and treat those seeking help. Allowing family and caregivers to play a larger role in treatment by changing HIPAA disclosure rules. Allowing mental health providers to participate in Medicare and Medicaid financial incentive programs. The Mental Health Reform Act is just the beginning of a necessary transformation of how we view and treat mental illness in America. Good mental health is essential to good physical health. By speeding and expanding access to mental health care, we can bring new health to those suffering and move our society’s views on mental health forward. In July of this year, the Bill was referred to the Committee on Health, Education, Labor, and Pensions. You can follow its progress here.